3. Third Street, looking north. 4. High Lane, looking west. 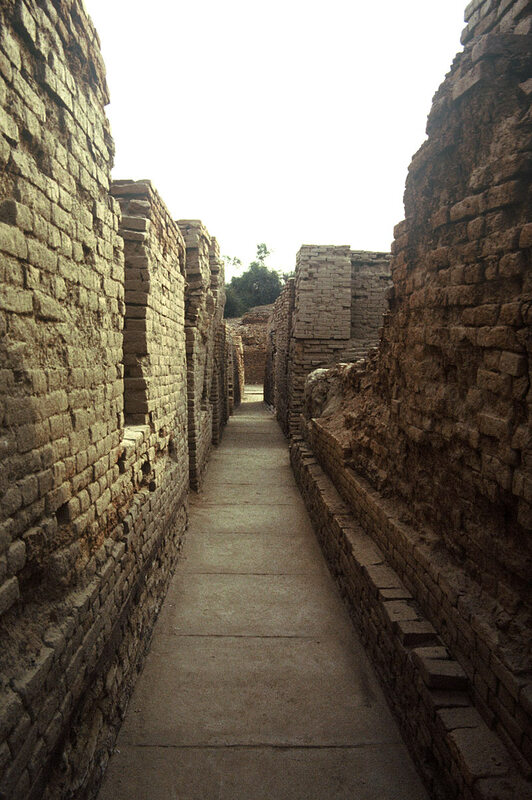 "Inside the major blocks, the streets [of Mohenjo-daro] are not well-aligned. There are many doglegs and some deadends. 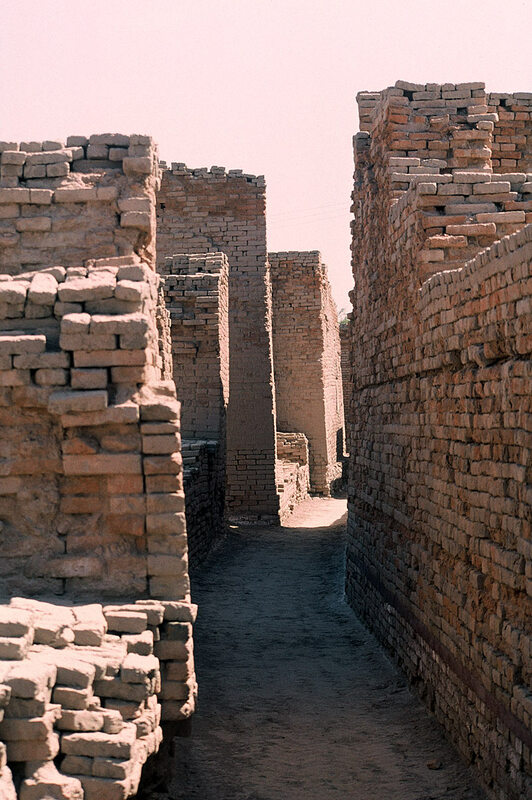 The walls along the streets and lanes may pinch in on the avenues that grow narrower and narrower, but curves are rare in the Mohenjo-daro system of roads. 1. 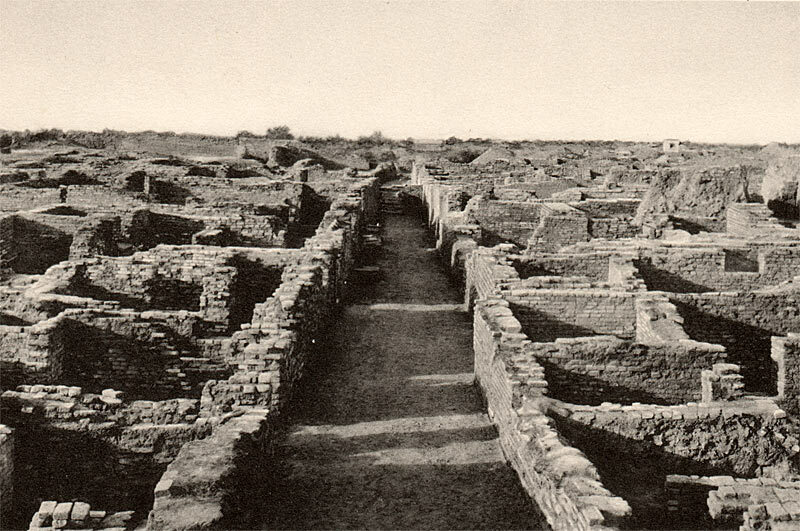 First Street, Lower Levels Mohenjo-daro. 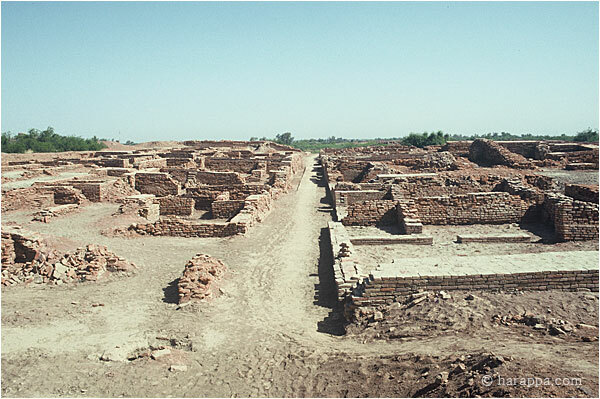 Lower levels of Street 1 in DK- G area of Mohenjo-daro. 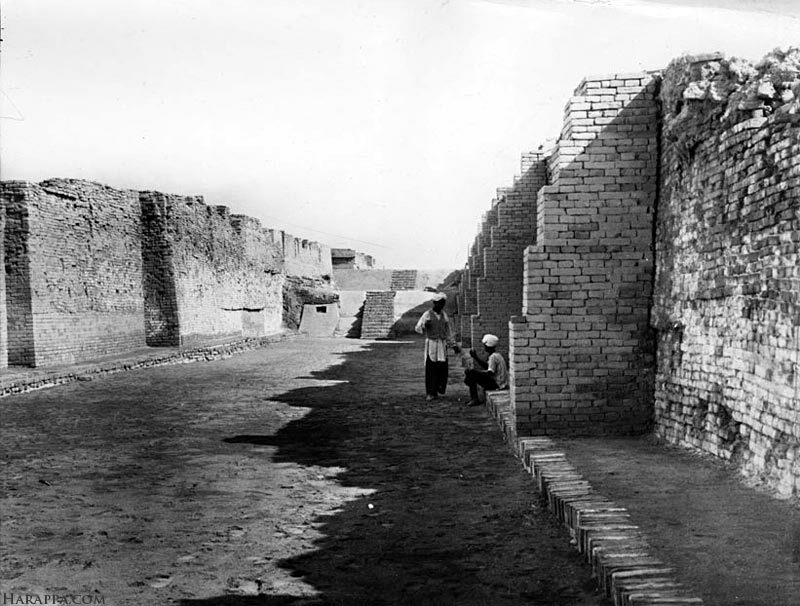 The buildings on the left were excavated under the supervision of K. N. Dikshit and then later by E. J. H. Mackay in the 1920's-30's. 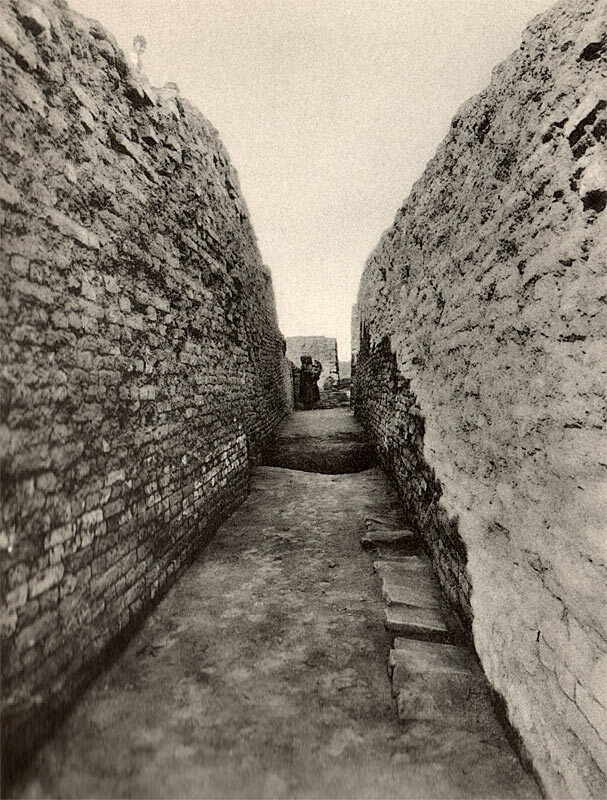 To the right, the walls have been exposed but the interior of the houses have not been excavated. The walls have been supported by modern buttresses to keep them from collapsing. Steps in the background are modern and lead up to higher levels of the ancient street. 2. Narrow Lane, DK-G Area. Oxcarts could not reach many of the urban neighborhoods. Pack animals and pedestrians could have used this narrow lane. 5. Narrow Streets, DK-G Area. The doors of later buildings can be seen in the upper levels of the wall to the left. The gradual tapering of the walls in the far right was an intentional architectural feature to avoid collapse of the upper floors. 6. Lower Street 3, HR Area. Looking south along Street 3, which runs parallel to First Street in HR area. Agricultural fields and scrub jungle south of the site are visible in the distance.